Plants have long been known as the lungs of the earth, but a new finding has found they may also play a role in electrifying the atmosphere. Scientists have long-suspected an association between trees and electricity but researchers from Queensland University of Technology (QUT), in Brisbane, Australia, think they may have finally discovered the link. Dr Rohan Jayaratne and Dr Xuan Ling from QUT's International Laboratory for Air Quality and Health (ILAQH), led by Professor Lidia Morawska, ran experiments in six locations around Brisbane, including the Brisbane Forest Park, Daisy Hill and Mt Coot-tha. They found the positive and negative ion concentrations in the air were twice as high in heavily wooded areas than in open grassy areas, such as parks. Dr Jayaratne, who is also a member of QUT's Institute of Health and Biomedical Innovation (IHBI), said that natural ions in the air were mainly created by ionisation due to two processes - radiation from the trace gas radon in air and cosmic radiation from space. The QUT scientists estimated that, in a eucalyptus forest, trees may account for up to 37 per cent of the radon in the air when transpiration rates were highest. 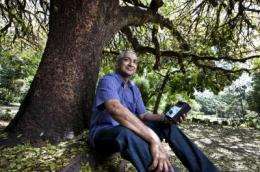 Dr Jayaratne said though there was still a lot more research which needed to be done in relation to the role of ions, the findings, which were published in the journal Environmental Science and Technology, have potentially important implications for the atmosphere, climate and human health. "Although there is an established link between airborne particles and human health, the role of ions is largely unknown," he said. "However, we do know that approximately one-half of the particles that we inhale during normal breathing are retained in our respiratory system and it has been shown that charged particles were more likely to be deposited in the lungs than uncharged particles. "We do not believe that ions are dangerous - the danger comes from the pollutants. If there are no dangerous particles in the air to attach to the ions there is no risk of ill health." Interesting. But why don't the positive and negative ions quickly meet and form neutral molecules? Natural resistance / impedance of the intervening media. It is more complicated than that, of course, but I believe that's the basic gist. Plus, to be fair, I'm given to understand that there *is* some ongoing fair-weather discharging going on at all times, so an answer to your question might also be "To some degree, they do". I see. If there are roughly an equal number of positive and negative ions, giving the air overall a roughly neutral charge would that air behave any differently than it would if the ions were not there to begin with (I'm thinking about physically rather than chemically)? Can I suggest you consult with a consulting arborist as to the functioning of trees? There are some fundamental errors such as that eucalypts have deep roots. This is incorrect and a flaw in your explanation. 90% of tree roots are found in the top 300mm of soil. in forests, it is shallower. Interesting topic however. Yes, because the ions in the air interact electrically/magnetically and would be in motion, affecting the air around them. This is true even if the air isn't charged enough to normally be considered "plasma". Remember, a tornado (for example) isn't merely a thermal construct - it is also a "charged sheath vortex" obeying electrodynamic laws as well. In an uncharged atmosphere you wouldn't consider such things as the interrelationship between Gauss's flux theorem, the Lorentz force, or the BiotSavart law, but in a charged environment those and other electrostatic and electrodynamic equations come into play.